It’s that time of year again! Heaters are going full blast and outdoor temperatures are beginning to dip below freezing. All of these conditions go hand in hand with our beautiful Shuswap winters, but they can also wreak havoc on our eyes and cause dry eyes. Dry eye is a common and uncomfortable ocular condition that causes irritated eyes and fluctuating vision. Dry eye can be caused by many factors, some we can control and others we cannot. Aging, hormonal changes, previous laser treatment, extended computer use, blinking problems and contact lens wear can all aggravate dry eye symptoms. Certain medications (like antihistamines, oral contraceptives and antidepressants) and health conditions (arthritis, thyroid disorders and diabetes for example) can also contribute to dryness. Environmental conditions, such as air pollution, cooling and heating units, and air travel can further exacerbate symptoms. Our tear film is compromised of three layers: a mucous layer that sits closest to our eye, a watery layer which is secreted from our lacrimal gland and makes up the majority of our tears, and lastly the lipid or oil layer that is secreted from oil glands associated with our eyelash follicles. The lipid layer is the outermost layer and protects our tears from evaporation. Dry eye is a condition where we are deficient in one or several of these layers. Regardless of which form of dry eye you suffer from, the symptoms are generally the same. Burning, stinging, redness, as well as a gritty or itchy sensation are common symptoms experienced with dryness. Excessive tearing can occur when your body responds to the dryness by producing an increased amount of tears. Thankfully, most of the symptoms of dry eye are relatively mild and can be treated successfully. There are a number of steps you can take to reduce your risk of getting dry eye, or help relieve your symptoms if you are already suffering from discomfort. 1. Avoid common environmental triggers – Smoking (even second hand smoke) is an eye irritant, so try to avoid it. Air conditioning or heating that is working overtime (both in our homes and in our vehicles) will exacerbate symptoms. Try to point your vehicle’s vents away from your face and using a humidifier will help battle the blasting AC or heat. 2. 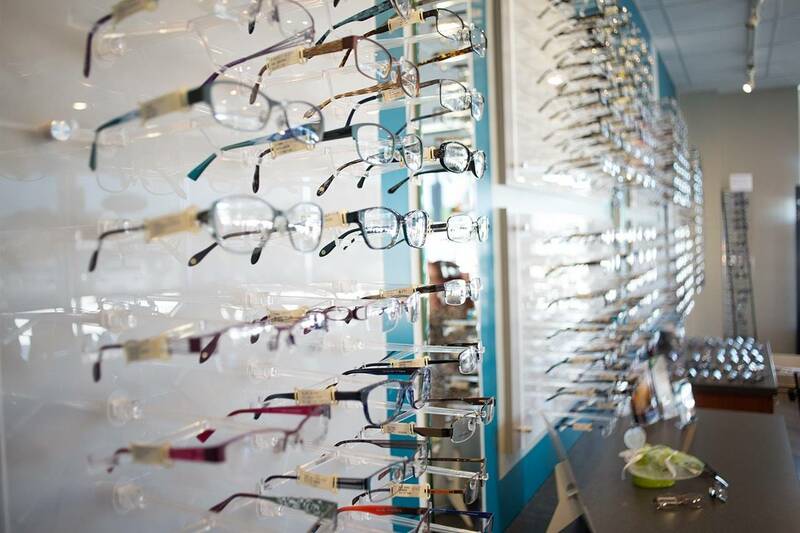 Over the counter drops – There are many drops available in Salmon Arm and Chase, BC, to help battle dry eye. Some eye drops are water based to help those who do not produce enough tears, while others have oil components added to help those who suffer from oil-deficient dryness. All drops are used to help reestablish our compromised tear layer. 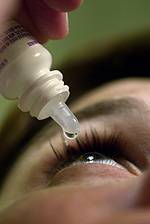 Generally, it is best to limit most over the counter eye drops to less than 4 times per day. Gels and ointment can also be beneficial in severe dry eye, but may cause blurred vision and are, therefore, recommended for nighttime use. 3. Give your eyes a break – Lets face it, we are all plugged in to our cell phones, tablets and laptops for far too long and this will aggravate dryness. We should be blinking 20 times a minute and when we are concentrating our blink rate will be decreased, sometimes to as low a 4 times a minute. It is important to remember to take breaks often and BLINK! Blinking will reestablish our tear film. Also, taking steps to reduce the glare from your screen, windows and lighting will help with visual comfort while plugging in. 4. Eat right – A diet high in omega 3s has been shown to help with dry eye. Natural omega 3 can be found in fresh water fish (tuna and salmon) and raw nuts. If you are not getting enough omega 3 in your diet there are many supplements available. Also, eating a healthy amount leafy greens and fresh vegetables provide important antioxidants for our eyes. Obviously, keeping your body hydrated is important to help with ocular dryness. So stay hydrated! 5. Talk to your eye doctor! To determine the right course of treatment, it is important to determine the type of dryness you are suffering from. This can easily be done by your optometrist. Although there are many simple solutions to help with symptoms of dry eyes, those who suffer from a moderate to severe form may benefit from prescription medications and should be monitored for more serious complications associated with a disrupted tear film. It is always important to have complete eye exams to ensure your symptoms are due to dry eye and not something more serious. Following these easy steps will get you on the right path to ocular comfort.